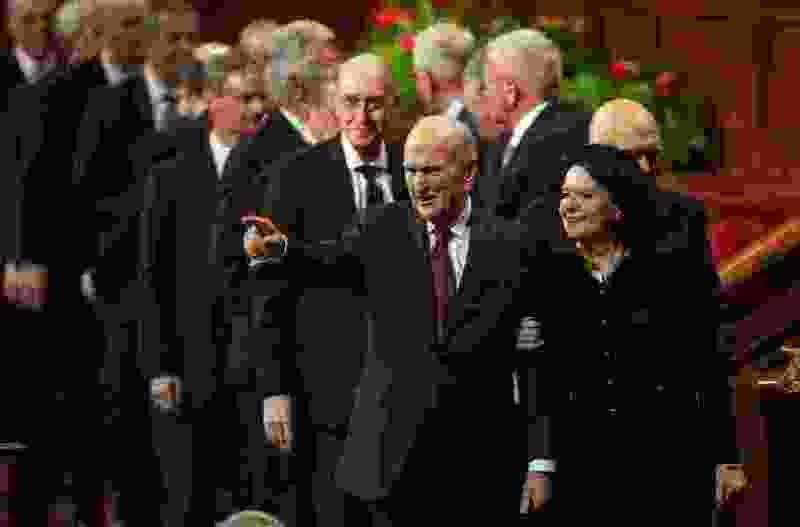 (Keith Johnson | Special to The Tribune) President Russell M. Nelson and his wife, Wendy, wave to the congregation at the conclusion of the 188th Semiannual General Conference of The Church of Jesus Christ of Latter-day Saints on Oct. 7, 2018, in Salt Lake City. Being non-Mormon for many years, I was surprised to hear that all members of the LDS Church have, by prophetic edict, become non-Mormons. Welcome. Now we’re all non-Mormons.